Found 4 file extension associations related to Star Wars: The Force Unleashed and 4 file formats developed specifically for use with Star Wars: The Force Unleashed. 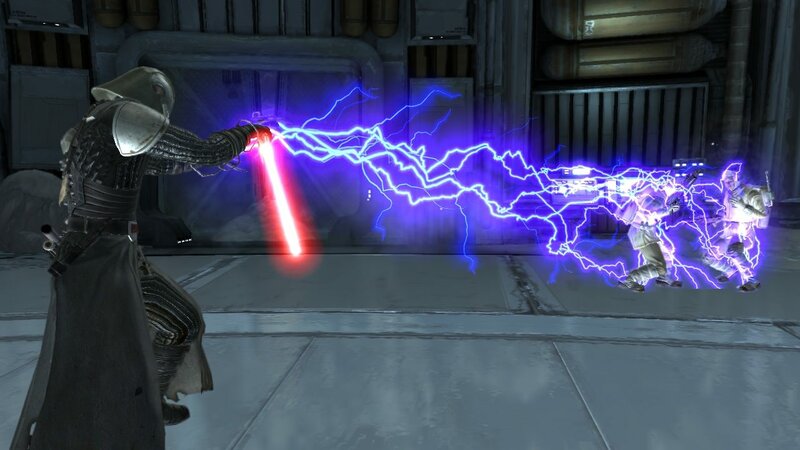 Star Wars: The Force Unleashed is a third-person action game from Lucasarts, in which the players play as Darth Vader’s "Secret Apprentice", unveiling new revelations about the Star Wars galaxy. Set in between Revenge of the Sith and A New Hope, Darth Vader is sent by the Emperor to destroy a Jedi Survivor of Order 66 and goes to Kashyyyk with a unit of the 501st. The Force Unleashed begins with the player controlling Darth Vader as he searches Kashyyyk for a surviving Jedi. After defeating the Jedi in battle, Vader discovers a child who is strong in the Force and raises him to become his apprentice, unknown to Emperor Palpatine for at least several years. When the apprentice (known in the game as "Starkiller", and whom the player now controls) reaches adulthood, Vader sends him to kill the remaining Jedi as training for his ultimate goal: assassinating the Emperor so Vader and Starkiller can rule the galaxy together. If you need more information please contact the developers of Star Wars: The Force Unleashed (LucasArts Entertainment Company, LLC), or check out their product website.